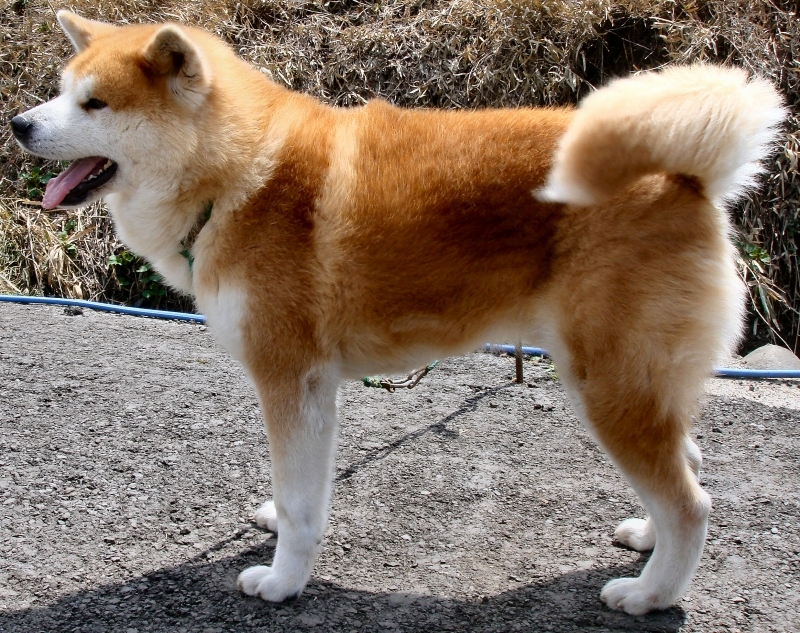 We'd like to explain you how to choose an Akita dog by the gender. From example we Hachiko Club's sales performance,it is nearly same rate about the male and female's popularity. There is rare sensuous difference about the puppy when you take a walk with the puppy. Because puppy is still small body. But you will feel the clear difference among the male and female as it grows. Grown female increase the tendency of walking the same pace with you. On the other hand, male walk ahead of you and pull the towline little or hard relatively. Of course there is exception even if male and female. If you will think it is the trend, It will not be wrong. It will be important decisive factor when you will choose the male or female. Female is generally convenient to old person, girls and ladies. The reason why typically the female walk aside nearly the same pace. Of course the female is fine to also young people. On the contrary, the male is little unsuitable to old people, little kids and persons who have anxiety agaist the physical fitness. The reason way male tend to pull to the walking person. It is not the meaning that we don't point you,"Choose a male by a reason" or "Choose the female by a reason". If you love male or if you love female regardless of the gender, it will be OK. 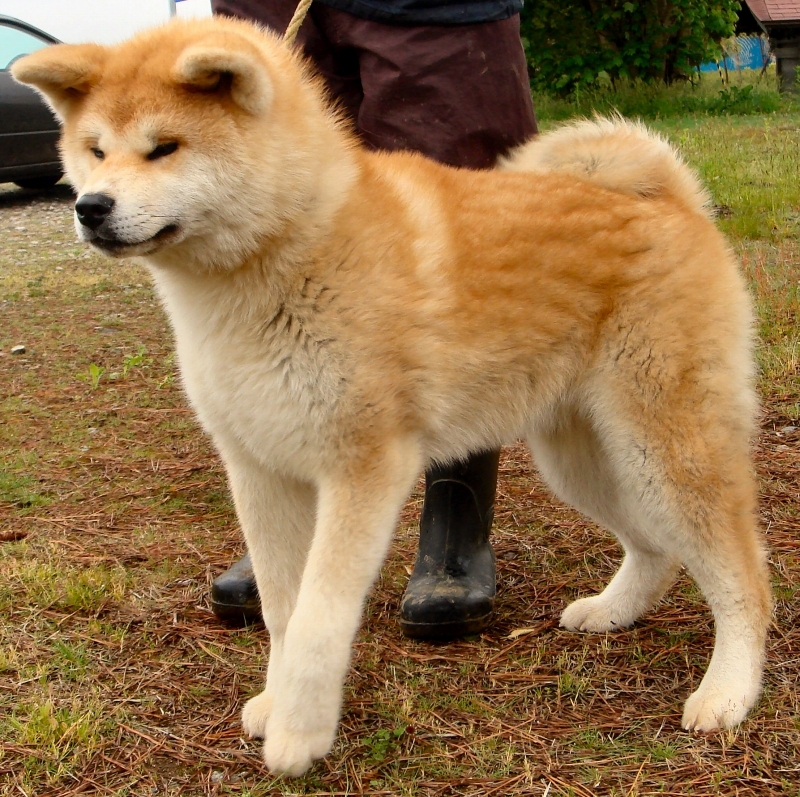 But if the owner say "My Akita dog is male. He pull jerk in the walking. So I don't walk with him already", it is not good to the owner and the male. Male's characteristic is imposing dignity. 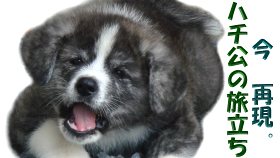 There aren't few who say "Akita dog's real thrill is male". We feel even dependable to male. On the other hand,female doesn't has the dynamism more than male. But she has the graceful appeal. If you will choose an Akita dog by the gender, we propose that you will judge that as a whole include the family structure and main raiser. It is the photo of male. It is the photo of female.